For successful summer holidays in the mountains, book your accommodation to Les Contamines-Montjoie in Northern Alps massive, Haute Savoie. This mountain resort will offer you exceptionnal areas and surprising landscapes. Your summer accommodation to Les Contamines-Montjoie will be for you a moment of wellness in the heart of a beautiful nature and you will spend holidays in wide open spaces. Our moutain offers will make you live warm emotions with all your family. We propose you quality holidays accommodation in all French massives, in the heart of mountains. 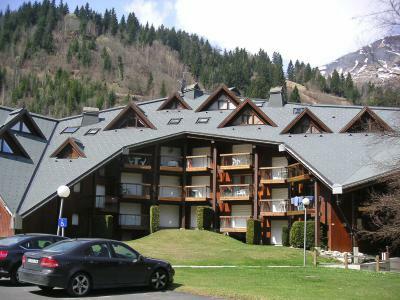 We have many residences to rent for your summer to Les Contamines-Montjoie. Let yourself be carried by a feeling of happiness, enjoy the summer holidays in the mountains full of sun and discoveries ! Residence La Tapia is a 3-floor property, with a floor. It is to be found in Hameau du Lay, 130 meters to the ski lift. Les Contamines-Montjoie is 1300 meters away. The residence l'Eterlou is located in very calm area, it has got 2 builds on 3 floors without lift. 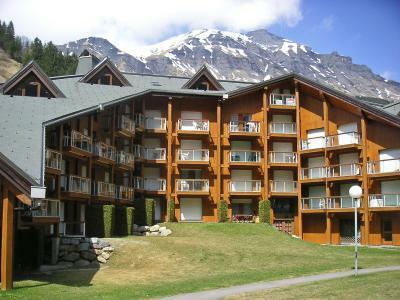 It is situated 800m from Contamines Montjoie centre, and all of its shops. It is outside private parking and possibility paying covered parking subject to availability. The residence les Cimes d'Or is located in the hamlet of Lay. It comprises of 3 buildings of 3 floors without lift and is situated 1200 meters from the heart of the village. Les Cimes d'Or are nearby shops. Quiet residence with a beautiful view over the village and the surrounding mountains. It is located at the top of the area of La Frasse, 1km from the village, and 200m from hiking departures. The residence l'Enclave, with lift, consists of 2 buildings of 4 floors. It is situated in the hamlet of Lay, close to the shops and 200 meters from the cable car. The village resort is 1.3 kilometers from the residence. 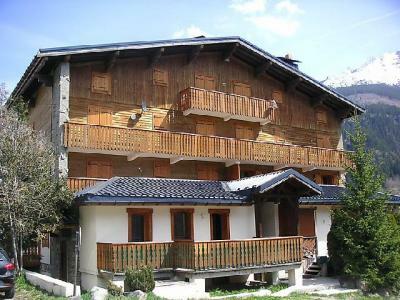 The chalet Buchan is located in the village center of Les Contamines. This chalet for 15 people, on 2 floors have a South/West exposure and a nice view on the Mont Joly. The residence Les Bergers is a together of 3 builds on two floors. It is located 1.1km from centre. This is a recently residence, without lift, with a private parking.